Your website visitors and your customers can interact with your chat bot in simple conversations. People don’t like waiting. Chatbots are instantaneous and Your chat bot is available round-the- clock, on all days of the year driving the conversation towards your business. Chat bot is built on your existing website/eCommerce platform and is tightly integrated with your core business. Build chat bots on any platform across the internet where your users are. 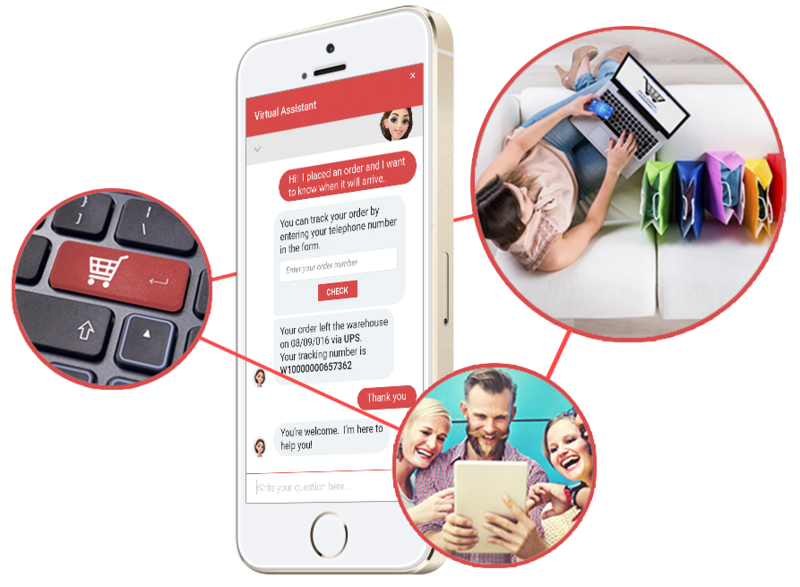 Plug & Play Messenger Chatbot - For Small and Medium Businesses‎. Reach out more potential buyers, Customers can browse products and ask questions and buy them straight from the chat. It’s always available unless you turn it off manually. Uses Natural language with artificial intelligence. You have 1 billion customers a message away. You can send in announcements, distribute content, story telling, sell products, run contests, find events, set reminders, scheduling and more. Local services (Bookings, updates, appointment reminders & collection alerts), Financial & legal, Brands (Competitions, viral marketing, events, product launches & coupons) , Logistics, eCommerce & Entertainment. Build up a followers base on Facebook Messenger like you would for an email newsletter. You can reach 100% of your followers by sending a push notification message. How can my business benefit from a bot? Engage with your customers where they already are. Build once and talk to your customers in their favorite messaging apps like Facebook messenger, WhatsApp, Slack, Kik, Telegram, Skype, etc. Manually send a one-time message to each chatbot subscriber. This allows you to reach 100% of your audience Vs. email campaigns. You can send in deals and updates. Chatbots are extensions of yourself. They can tell stories, they can talk like a human and enjoyable, all while driving more conversations for your business. After desktop in the mid-80s, browser & websites in the mid-90s, smartphones & apps in the mid-00s, it’s the turn of messaging & bots in the mid-10s. Build it once and use across all your favorite messaging apps. Facebook messenger, Viber, WhatsApp, Telegram, Slack, Kik, Skype, SMS, etc. You can use AI messenger BOTS for answering support related questions, providing services like hotel booking, buy tickets, paying bills, etc. You can also use them for marketing – sending special offers, collect feedback from clients and more. Build a powerful chatbot for your eCommerce store. 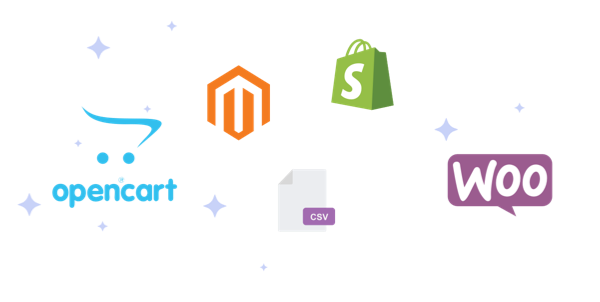 Integrate with Shopify, Megento, Woo-commerce, Open cart and many more. Start from scratch by uploading your products as csv and start a bot based store without any infrastructure cost. Target customers based on their buying preferences, age, interests, history, availability and many more. Give a customized experience to customers based on profiles and give custom recommendations. Let the bot handle majority of the customer support queries automatically.